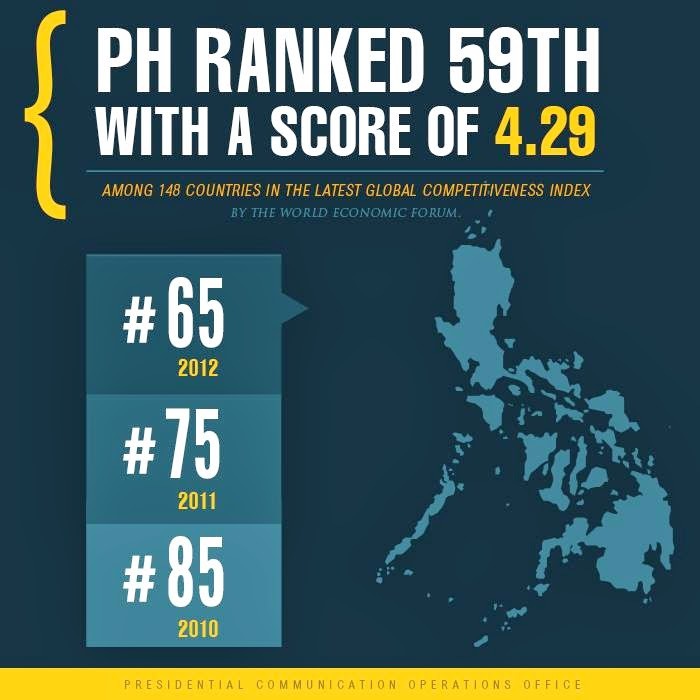 The Philippines jumped six places up a global competitiveness ranking but still lagged behind most of its neighbors, a new report Wednesday showed. The country rose to ranking 59th out of 148 in the World Economic Forum's (WEF) Global Competitiveness Index 2013-2014 from 65th of 144 in the previous report. 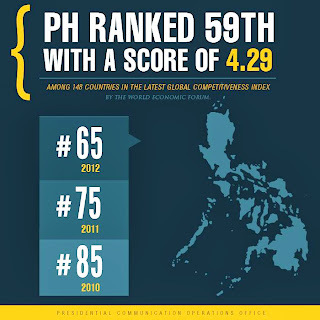 This is the fourth consecutive year that the Philippines posted improvements in the global list. The report said for the Philippines, "trends are positive across most dimensions of the Index," which assesses countries' business environment and competitiveness. The country bagged an overall index score of 4.3 points from a total of 7, an improved scored the report attributed to gains in the fight against corruption. 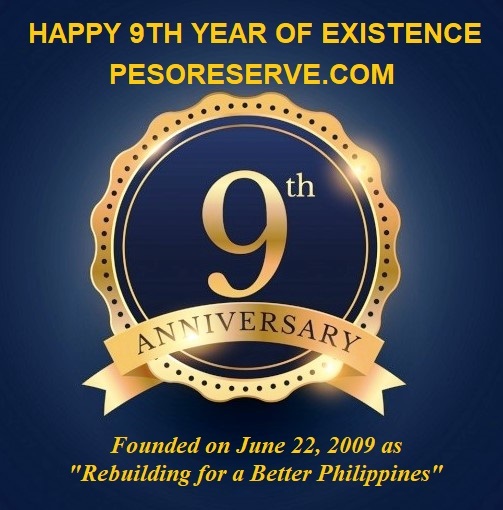 The Philippines "leapfrogged over the past years" in the index's institution pillar, where it now ranked 79th. 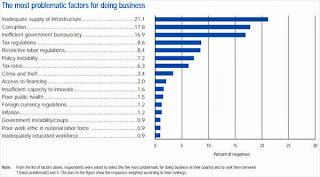 It also improved in ethics and corruption (87th) and government efficiency (75th). The report lauded the administration of President Benigno Aquino III which it said "made the fight against corruption an absolute priority" since 2010. "There are signs that these efforts are producing results," WEF said, adding that corruption had been "one of the country's biggest drags on competitiveness." However, the Philippines still compared poorly to most of the other members of the Association of Southeast Asian Nations (ASEAN) that are in the WEF list. The Philippines only posted a better performance than its neighbors Vietnam, which ranked 70th, Laos, (81st) and Cambodia (88th). The competitiveness report further said the Philippines "cannot afford to be complacent" since improvements are coming from "a very low base." It cited as examples how rankings improved but remained in a dire state in transport infrastructure (84th), especially with respect to airport (113th) and seaport facilities (116th). In terms of labor market, although the Philippines has become more flexible and efficient over the years, it still ranked low at 100th. The report nonetheless stressed that recent government successes "are encouraging and proof that bold reforms and measures can yield positive results." Malacanang welcomed the improved rankings as "an endorsement of the President, the brand of transparent and accountable leadership he espouses, and the hard-fought reforms he and his allies have tirelessly pursued." Finance Secretary Cesar Purisima, for his part, said "investors in the Philippines now enjoy a playing field that is more stable, more transparent, and more level than it has ever been." This, as he noted that the Philippines will no doubt see even greater rises in the competitiveness rankings amid "progress in further solidifying gains of good governance." "I fully expect to see the Philippine business environment become even more vibrant, more dynamic, and most importantly, more open and welcoming of opportunity," Purisima said.